Trains are certainly one of the most common and simple modes of transport. Over a million people use them around the world every day, and it’s no surprise why. Trains are incredibly fast when compared to cars. In addition, the risks of jams or diversions are minimal on the tracks. Trains, like practically anything you can think of, have all sorts of interesting facts and stories associated with them that the general public may not know. The world of Harry Potter is vast and definitely one we wished was real. With the ability to cast a batch of spells and polished brooms which can let you soar through the skies, it would certainly be a change of pace in our lives. There is, however, a glint of Hogwarts magic that is very real. 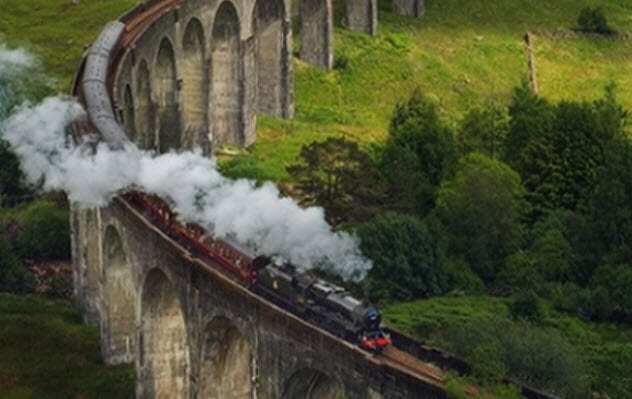 The West Highland train line in Glenfinnan, Scotland, is the same line used in the Harry Potter films and trundles over the same viaduct. In addition, the trains that traverse the beautiful landscape are the exact same trains as the Hogwarts Express in the films. Even today, the same trains are running along the same tracks. Magic may exist after all. Imagine arriving at a station and slowing down but never actually grinding to a halt to let people off. This is exactly the case for City Hall subway station in New York City. 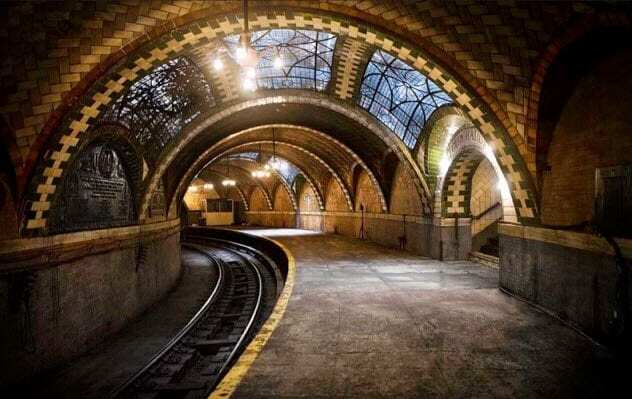 Built in 1904 with the sole purpose of being the glamorous station for the city’s brand-new subway system, it was designed to attract people into the subway type of transportation with its beauty. It worked for a while. Over time, however, the severe lack of passengers and redesigned trains that made the station unsafe ultimately rendered it unsuitable for use. Thankfully, due to its beautiful look and the potential renovation cost, the city decided to leave the station there. At the end of 1945, it was closed forever. Today, although deemed unsafe to get off at the station, the No. 6 train always passes slowly through City Hall station and takes passengers back in time to witness the beauty of this regal station. During World War II, Japanese pilots resorted to “kamikaze” in a bid to sink US warships. Using their planes as weapons, the pilots would dive-bomb directly into the warships to inflict as much damage as possible. This unorthodox but lethal approach to fighting was surprisingly successful thanks to the design of the planes. Their streamlined shape allowed the flying torpedoes to thunder toward the ships at such a high velocity that it was almost impossible for the Americans to shoot the planes down before they crashed. Miki Tadanao, the creator of the kamikaze planes, was put off from using his skills to create war planes when considering how many young soldiers had died because of his designs. Instead, he wanted to focus on more peaceful projects. 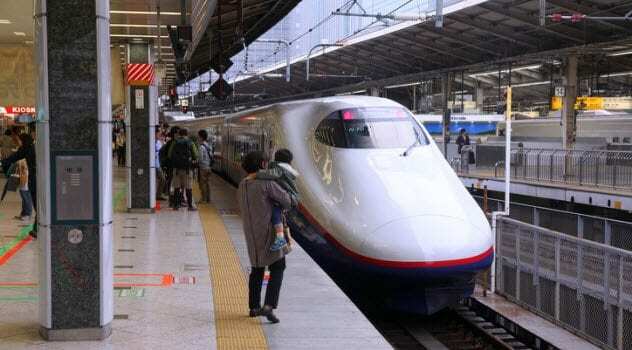 Using his knowledge of streamlined designs, Tadanao helped create the first generation of shinkansen trains, more commonly known as “bullet trains.” During a trial run on March 30, 1963, the train reached a top speed of 256 kilometers per hour (159 mph), breaking the previous record of 120 kilometers per hour (75 mph), and becoming the fastest train in the world. 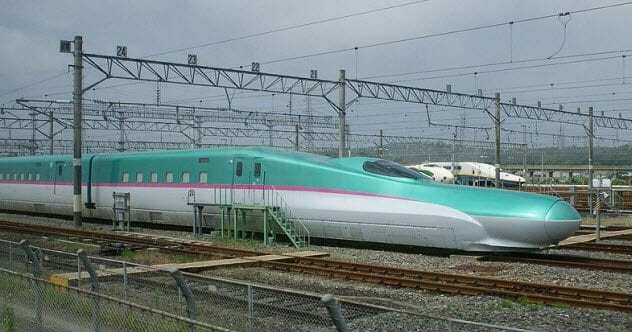 Today’s bullet trains can reach speeds of over 600 kilometers per hour (373 mph). In 1830, Peter Cooper wanted to convince the Baltimore and Ohio Railroad that the new railways should be powered by steam engines instead of horse-drawn carts. To do that, Peter had to design and construct a steam locomotive capable of traveling through the railways. The Tom Thumb, the result of Peter’s hard work, became the first American-built steam engine. The day for the Tom Thumb’s first test run had come. Peter Cooper was persuaded to travel to Ellicott’s Mills, a 21-kilometer (13 mi) distance, while his little engine towed a small group of passengers in a small cart. 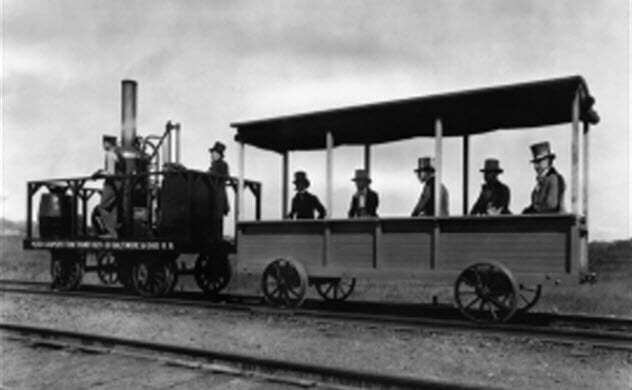 This became the first steam engine journey in America. With the small but nimble Tom Thumb engine reaching a top speed of 29 kilometers per hour (18 mph), it didn’t take long to reach the Mills. All the passengers were very impressed with the machine. During the journey back from the Mills, they encountered the owners of stagecoach company Stockton and Stokes. The owners quickly challenged Peter to a race between their horse and his locomotive. When the race began, the horse had an easy head start as the locomotive took its time to pick up speed. But it wasn’t long before the Tom Thumb was at its max speed and overtook the horse with ease. However, the belt which drove the blower slipped off and the engine quickly lost its momentum. The horse overtook the locomotive and soon won the race. But everyone was so impressed with the locomotive’s power that it was obvious that steam-powered locomotives were superior to horse-drawn carts. Thanks to the Tom Thumb and Peter, steam engine travel quickly became the most useful invention at the time. It allowed people to effectively travel across America. More importantly, if it wasn’t for Peter Cooper and his Tom Thumb, trains might not be around today at all. At a time when steam trains were crucially important and widely used to transport passengers and goods around the country, it was clear that they would also be used to transport soldiers and heavy artillery. When the US Civil War broke out in 1861, trains were a godsend to everyone. They helped in sending both injured and fresh soldiers to and from the deadly battlefields. During the Battle of Chickamauga in September 1863, trains were able to send 20,000 badly needed Union soldiers across a span of 1,900 kilometers (1,200 mi) in just 11 days. 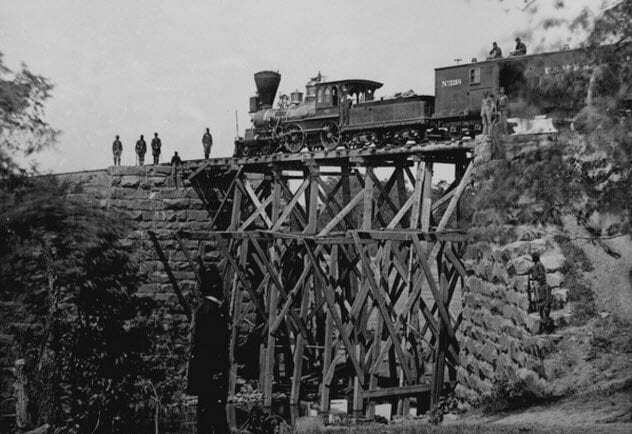 Unfortunately, railroads were valuable targets and essential for the war, which led to all sorts of railroad sabotage from both sides. We all know the term “horsepower,” which has been used for hundreds of years. It’s commonly used to describe the power of a car or train. But how much exactly is a horsepower, and how did such a silly-sounding term become a competent measurement? James Watt, who owned a steam engine that pumped water from deep inside underground mines, also wanted to use the effectiveness of steam engines to replace horses in brewery mills. This would make beverage production more efficient and quicker in the long term. To get a greenlight for his idea, he had to explain his steam engine’s capability in a way that brewers could understand. 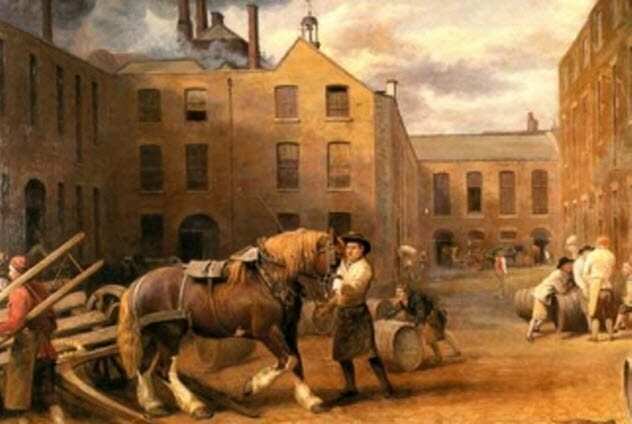 Observing a group of horses working in a brewery mill owned by Samuel Whitbread, Watt calculated that one horse had enough power to push 14,774 kilograms (32,572 lbs) a distance of 0.3 meters (1 ft) per minute. He rounded this up to 15,000 kilograms (33,000 lb), which resulted in the invention of the term “horsepower.” Although his calculation seemed a little far-fetched, Watt’s idea successfully convinced Whitbread that steam could easily replace horses in the mill. Within a year, beverage production rose from 90,000 to 143,000 barrels of brew thanks to the steam engine. Ever since, the term “horsepower” has been used to describe the power of every train, every car, and everything else that has power. It’s an easy way for the average person to understand how powerful a particular object is. George Pullman had a really uncomfortable late-night train ride from Buffalo to Westfield, New York. As a result, he decided that there was huge market potential for comfortable train cars. He already had experience with canal boats on the Erie Canal, so he had a good idea of what the perfect design would be. In 1865, Abraham Lincoln was assassinated. This was a huge shock to America, and the general public was sure to read in the newspapers about anything that happened to him afterward. 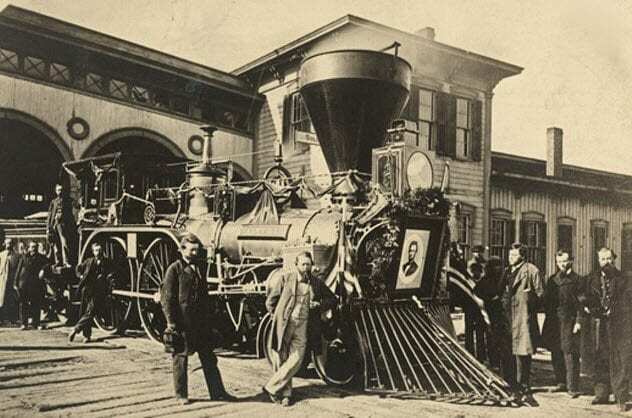 Lincoln’s body was transported through dozens of northern cities to Springfield, Illinois, on a train dubbed the “Lonesome Train.” Along the way, the train encountered all sorts of mourners along the tracks. This was too emotional for Mrs. Lincoln to handle. By the time the train arrived at Chicago, she had practically collapsed. As the train’s proper destination was meant to be Springfield, Pullman decided that he would loan his special sleeper car, the Pioneer, to Mrs. Lincoln. He hoped that its comfortable design would cheer her up for the remainder of the journey. Journalists caught wind of this, and the public was quickly educated about the comfortable design of Pullman’s cars. The fear of uncomfortable train cars evaporated, and every train on the tracks included the luxurious cars after that. Time is one of life’s many mysteries. When did it start? When will it end? One thing is certain, however. It’s easily to lose track of time, and the day has ended before you know it. Time zones help large countries know the difference in time from one area to another. 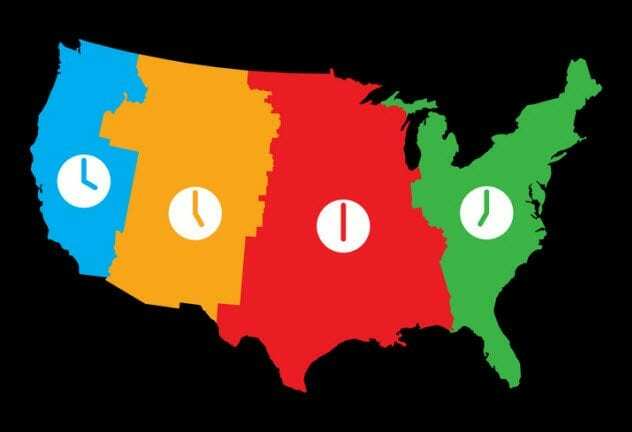 The US uses nine time zones if you count the ones for the states as well as those for Puerto Rico, American Samoa, and Guam. But how did these time zones come to be? In 1883, representatives from the major US railways met in what became known as the General Time Convention. At exactly high noon on November 18, the US Naval Observatory sent a telegraph signal which marked high noon Eastern Time. As soon as the signal was released, the other railway offices across the US calibrated their clocks appropriately. Since 1918, standard time zones across the US have been officially lawful due to legislation from the US Congress. They recognized the time zone system as a legitimate way of keeping track of time in America. After the successful introduction of steam trains in America, it wasn’t long before the number of railway tracks rose rapidly. In 1830, when Tom Thumb lost its infamous race with a stallion, there were just 37 kilometers (23 mi) of railway tracks in the US. Thanks to a grant act passed by the government, however, the mileage of track soared immensely over the years. By 1861, there were 48,000 kilometers (30,000 mi) of track in the US. Between 1890 and 1900, yet another 64,000 kilometers (40,000 mi) of track were added to the railways snaking around the quickly developing country. 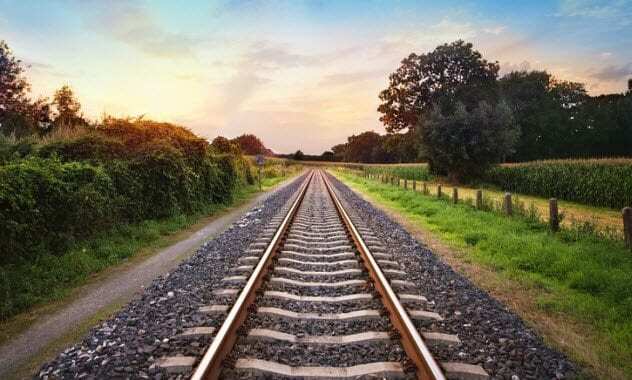 By 1916, there were more than 402,000 kilometers (250,000 mi) of train tracks littered around the US. To put this into perspective, you could reach the Moon from Earth if you lined up this length of railway tracks. The peak, however, wasn’t reached until 1930, when there was an incredible 692,000 kilometers (430,000 mi) of track across the US. Over the years, the miles of tracks slowly shrunk due to competition from roads and highways. Cars were becoming a more popular means of transport than trains. We’ve all experienced it. You’re running on a tight schedule, so you decide to use a train to get to your appointment. You get to the train station, and you’re in luck. The next train traveling to your destination will arrive in a few minutes. Unfortunately, those few minutes soon tick by and the train hasn’t arrived at its scheduled time. Unbelievable! By the time the train does roll through the platform, it’s already too late. In the US, you don’t even get an apology. Japan has a different ending to the same story, however. It’s quite remarkable how Japan’s trains manage to stay on schedule. It’s rare for a train to arrive even one minute late at a station. This is thanks to the intense training required for the drivers who operate trains and the severe consequences these drivers experience when late. If a train is late for some reason, an apology is made on the station’s Tannoy. In addition, all affected passengers receive a “delay certificate,” which informs them why the train was late. They can show this certificate to their employer if they ever need to explain why they were late for work.